In 2008, Laura Miller began working with the Denver-based energy company Summit Power Group as its Director of Texas Projects, including a clean-coal power plant with carbon capture near Odessa. Prior to this, Miller was mayor of Dallas from 2002 to 2007, after having served 3 ½ years as a member of the Dallas City Council, representing Oak Cliff and Southwest Dallas. In her five years as mayor, Miller led ambitious efforts to expedite the revitalization of downtown Dallas, redesign and expand the Trinity River Project, and lower the city’s crime rate. Miller led the Dallas City Council in passing an anti-discrimination ordinance, bans on panhandling citywide and smoking in restaurants, and an unprecedented and far-reaching plan to reduce homelessness, which included voter approval in November 2005 of $24 million to build a new Homeless Assistance Facility. She was also a leading force in bringing together the cities of Dallas and Fort Worth, DFW International Airport, American Airlines and Southwest Airlines to craft an agreement that repealed the long-contentious Wright Amendment. After negotiating a solution to the 30-year feud, the compromise became federal law in September 2006. In the wake of Hurricane Katrina, Mayor Miller raised $2.7 million in private funds in 30 days to help thousands of Katrina evacuees start new lives in Dallas. The Mayor’s Disaster Relief Fund worked with local clergy to pay for rent, utilities and furniture in the first months after Katrina, and the fund has paid for ongoing case management and social services for evacuees still living in Dallas. 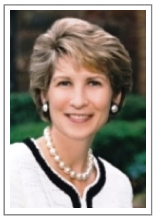 Before being elected to the Dallas City Council in 1998, Laura was a journalist for 18 years. She worked as a columnist and investigative reporter for the Dallas Observer, the Dallas Times Herald, the New York Daily News, The Dallas Morning News, and The Miami Herald. She won the H.L. Mencken Award for newspaper commentary in 1995.